Hello All. It’s been a busy couple weeks as I have been away working in China. 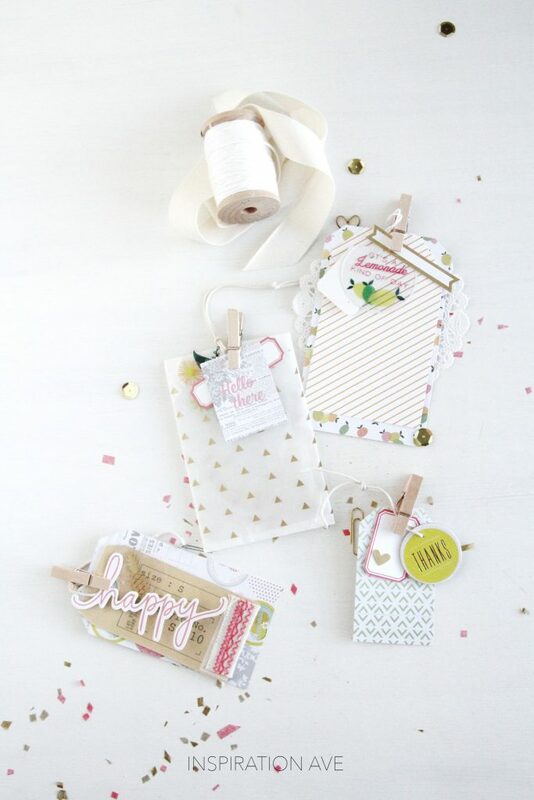 So happy be home and back to my crafty self and bringing you a few tag ideas today using one of my favorite kits from Gossamer blue. 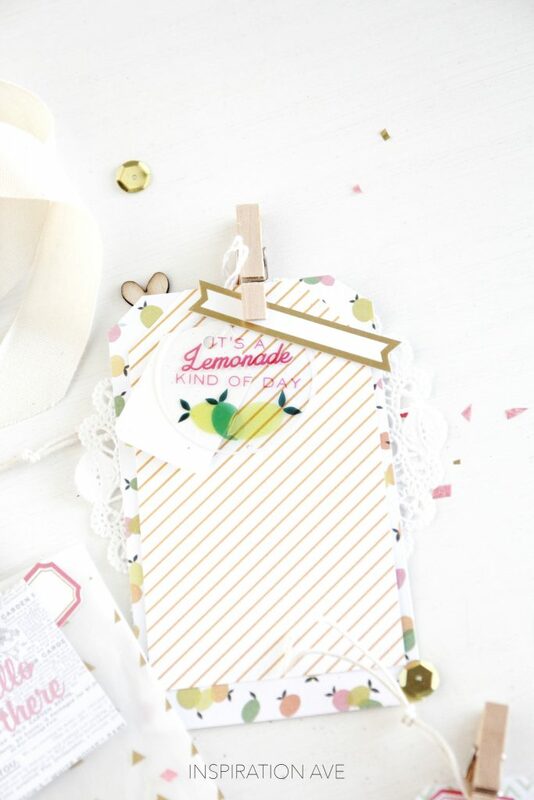 Something about the feminine bright colors, golds and pineapples just made this so easy to work with. Pink Paislee, Elizabeth Kartchner have outdone themselves on these products. 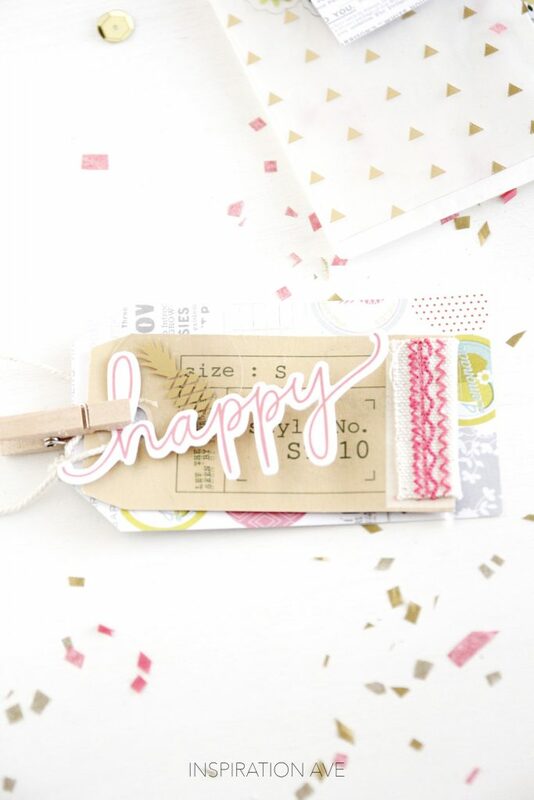 When I don’t have to work hard to make something – you know it’s good stuff:) I love the simplicity of just cutting a tag from patterned paper, layering the elements and bringing it all together with a little clip. Easy peasy! Add these to a gift bag, throw them in a jar and give a little gift! 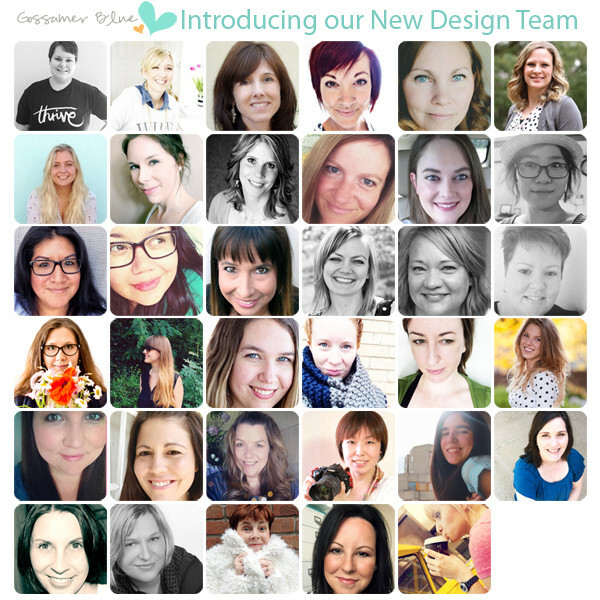 Stop by Gossamer blue and say Hi to the new Design team and check out more of my work in the gallery. Such a talented group of women and exciting things to come.